Knowing what I know now from my Hippocrates training and years devoted to all things organic and planet saving, it was time to retire my current high end sofa and look specifically at eco friendly and non toxic choices. This was hard! My search led to companies no longer in business, or they stopped making what I wanted. Being of particular taste, I found the task daunting at best. Most of us spend a ton of time on the sofa. Most are filled with fire retardants, toxic glues, stain resistant chemical treatments and foam that out-gas into our environment. As the chemicals break down, it doesn’t get any better. Being the couch sloth that I sometimes am, I wanted to avoid all this. Some sofas use natural latex rather than foam, and this is brilliant. The seat is super comfy (my bed is made of natural latex) and the stuff lasts forever. Other manufacturers use eco foam, a better choice than the regular high density off gassing variety and then there is the fill, perhaps eco feather and the fabric itself along with any stain inhibiting chemical stew du jour. Below are my findings on a few places you can go to find a more eco friendly choice and with style. I will leave it to you just how far down the rabbit hole you choose to go. This sofa, the Kardiel Woodrow Mid-Century Modern Box, is both reasonably priced and gorgeous, while doing some things right, such as the hardwoods and mostly natural fabric choice. Did I mention it is drop dead gorgeous and made entirely by hand? Less than half price, truly a bargain. For those with kitties, I LOVE that there is nothing to scratch on the back and arms of this thing! We currently have claw marks all over the back of our leather sectional I paid $6500.00 for. West Elm has one eco focused sofa, The Harmony, where the eco-weave fabric, is made from spent plastic bottles. It’s got non-eco foam, but it is super comfy, we sat in it at the store. My husband insisted we sit on whatever we were going to buy so rather than taking this online which was my plan, we went local. I wanted latex but I…this is very hard to say…compromised with eco foam and feather. We sat in every sofa and sectional at MGBW and finally chose the Hunter. It will look lovely floating over our terrazzo floor and hopefully be as sink into it comfortable as our old sofa. Good luck in your choices and happy shopping! Many people are getting hip to incorporating more natural foods into their diet and learning to be mindful of toxins in skincare, clothing and household products. This holiday season, give the gift of pure potent certified organic skin, home and body care. The link to my website for Miessence products is below. My website here is full of healthy tips, recipes and information. But sometimes you need personal guidance. 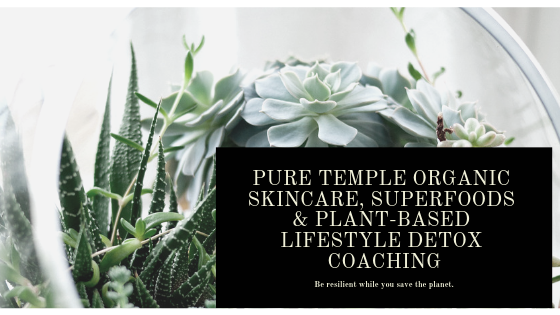 As a Plant-Based Health Consultant, that is what I am here for. You can be a vegan and still eat junk food and even if you are trying to eat healthfully, there are ways to juice and supplement to provide you the best nutrition. 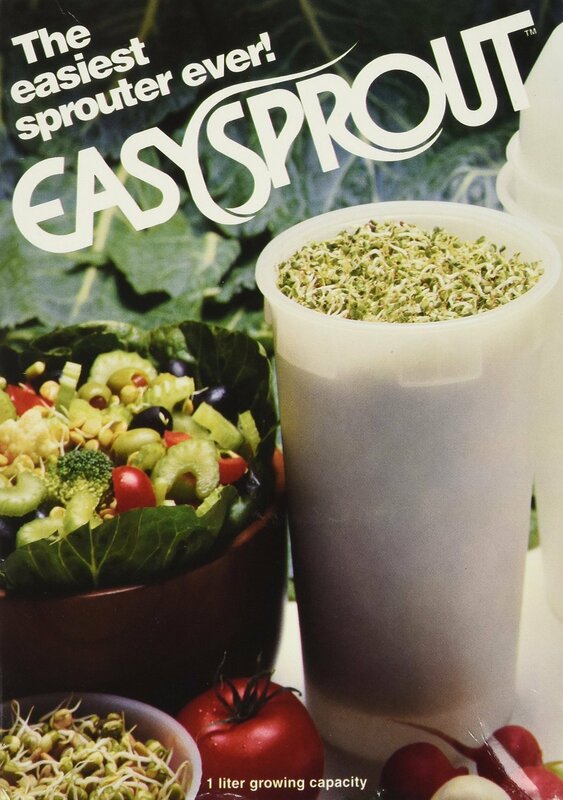 The Easy Sprout sprouter is a great and simple way to grow sprouts. Now that I have finally bought and used it, I am so glad I did. My favourite sprout for this sprouter is mung beans. But of course, this product is versatile and you can grow a variety in it. Before the Hippocrates Life Transformation training, I knew I wanted to reduce meat, to go back to a mostly vegetarian diet and, to be honest, mostly vegan. I wanted this to spare the animal abuses inherent in the dairy and meat industry. What I did not anticipate was that sprouts would be (or should be) half of every meal! My mouth flew open, literally, when they termed organic produce, such as cucumbers, or salad, ‘condiments’. Thinking about it all, it makes sense. We humans have so corrupted and depleted our soils, our air and water, that the organic produce we raise now, has far less nutrition in it than it once did. IF you compost, do compost tea and grow your own veggies, that is the very best, but it is still hard to stay completely away from the grocery store. There are seasons and space requirements for growing. I live in a big city and July and August are too hot for many things to grow well. Sprouts can be grown year round on your kitchen counter! And they are delicious! I do a variety and recently branched out to growing mung beans. I have (and adore) the 2 Deck iPlant sprouter. You c an also get just one level of growing with the 1 deck iPlant. Both take up the same kitchen real-estate so I favour the option to grow more and more variety too. IF you opt for the iPlant, you will want to add on extra sprout trays, so that you can keep the growing cycle moving along. Another self-managing sprouter is the Tribest Freshlife 3000, which is stackable up to 3 levels! For mung beans, which like pressure when growing, I use the Easy Sprout. Once the mungs have sprouted, I fill up the 2nd cup this sprouter comes with and set that on top of the mungs for the pressure they love. It makes them nice and crispy crunchy! IF you are new to mung beans, warning! They expand! When I first sprouted them, I used 2 cups of those bad boys and ended up with a kitchen invasion. There were so many sprouts! I was putting them in my green juices, in stir fries, on salads, in the dogs food, giving them away…the easy sprouter does far more than mungs, it’s equally great for garbanzos or pretty much any sprout you want to try but essentially for the smaller sprouts, such things as broccoli, radish, onion and garlic sprouts, I use the iPlant. For sunflower sprouts and pea shoots, as well as wheat and barley grasses, I use an 8 sectioned catering appetizer tray, which has a section for ice that is perfect for adding water and the Sea-90 liquid fertilizer into, in order to grow hydroponically. The fertilizer is used on the sunflowers, the pea shoots and the wheat grass as each of them grows longer roots and takes longer to mature enough to eat. I did not want to deal with soil when growing those sprouts so I mix in the minerals they need (and that feed me) into the water. Hydroponics is easy to travel with because lugging soil around would be quite a chore. Sunflower and Mung beans love a bit of pressure as they grow, so I keep lids on my sunflowers until they push them off and grow too tall for it. On the mungs, I fill the Easy Sprout container with water and set it on top of the mungs, once they have sprouted, until they begin to push the container off. This makes them strong and crunchy! Depending upon how serious you are with your sprouts, my recommendation is to begin with the easy sprout if you are just starting out and then migrate to the iPlant. I have the double decker one (see my earlier post reviewing it!) and I have sprouts literally going at all times, at various stages, between the easy sprouter, the iPlant and the trays. My goal is to have 50% of all meals be sprouts or consume 2-4 cups daily. This means a lot of sprouting! What people don’t tell you is that the body gets less hungry when it is fed proper nutrition and that sprouts have more protein, vitamins and minerals than the SAD (Standard American Diet) many of us were brought up on. The benefit here is shedding excess weight, vibrant health and skin, daily miracles, my friends!